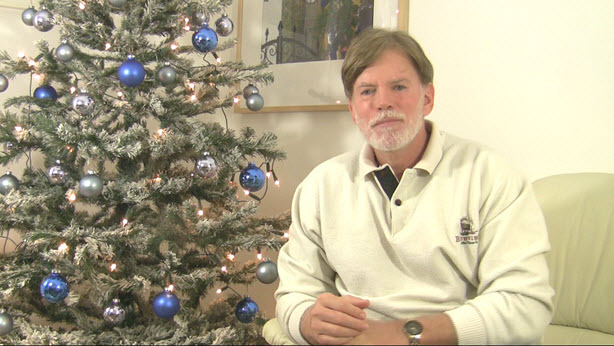 Dr. David Duke has a PhD in History, is a former member of the House of Representatives from Louisiana. He stands up for the right of every people on earth to preserve its heritage, culture and freedom. He stands bravely and honestly for true Human Diversity, Independence and Freedom! 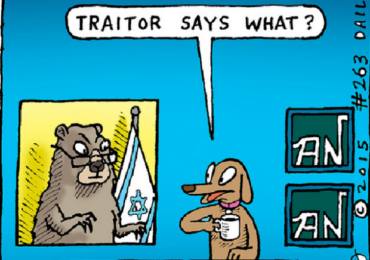 Dr. Duke views Zionist-driven Globalism and its collaborators the greatest enemies of mankind. He asserts that a matrix of international criminal banks, news and entertainment media, as well as Zionist political corruption drives the world toward war, toward economic exploitation and to destruction of fundamental human rights, health, freedom, human values and independence. He has become one of the most well known Americans in the world who opposed the wars in Iraq and Afghanistan. He was one of the few political personalities who before the Iraq said that the “weapons of mass destruction” allegations against Iraq were lies and that the war would ultimately have a catastrophic effect not just on the Iraqi people, but upon the American people as well. He foretold not a “cakewalk” but a long drawn out war with hundreds of thousands of harmed young Americans and a enormous cost of American money. He is proven right about both the weapons of mass destruction lie, and the fact that far from bringing freedom to the Iraqi people, the Iraq War led to hundreds of thousands of dead Iraqi men, women and children; and perpetual civil war causing human suffering that far eclipses even the most exaggerated evils of Saddam Hussein. 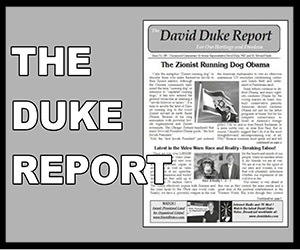 Dr. Duke has been an unsung prophet on this and many areas of political and social life the world over. His books Jewish Supremacism and My Awakening are translated in more than a dozen and one-half languages and Jewish Supremacism is the most-read known anti-Zionist book in the world. Millions of copies of his books are now in circulation around the world and have even been available in the the Russian Duma (Parliament). His videos now number over 5 million views on his video channel and thousands of people have been so moved by his speeches, lectures, debates, broadcasts, that they have made over 10,000 videos available of his appearances. These videos of Dr. Duke’s appearances, interviews, speeches and lectures now total over 300 million views. To illustrate the power and popularity of Dr. Duke and his message — his videos average a greater than 90 percent average positive rating from viewers. Dr. Duke works for a new ethic for mankind against imperialism. No nation and no people, he argues, has the right to invade or control other nations for imperialistic purposes. Every people must have the right to self-determination and their own living space, whether through nationhood or autonomy within nation states, such as the Swiss model. He argues that every people can simply have the right to have communities that maintain their own expression of culture, heritage and values particular to their own soul and spirit. No people, Dr. Duke says, should have the right to exploit other peoples. And, he maintains that globalism is destructive of every people on the planet and by its very nature is inherently undemocratic and oppressive. That Globalism is just a new and more horrific form of imperialist exploitation and tyranny, but this time on a global basis. As exampled by Palestinian suffering and genocide, Dr. Duke believes that mass immigration against the will of its inhabitants is a crime against human rights, and argues that mass immigration also threatens many peoples today. He points out that historically, practically every distinct heritage of people on the planet have had periods of imperialistic expansion, colonization migration and occupation. This is true of ancient Chinese peoples, African peoples, North American Native Peoples, Middle Eastern tribes, as well as religious imperialism and conquest by Judaism, Islamic and Christian entities. Europeans too have had their empires and conquests, its Crusades, but non-Europeans also had their own conquests of Europeans such as in Spain the the Balkans. Britain had Asian Colonies, but Asia had their own many versions of Attila the Hun ravaging European populations. Europeans developed advanced technologies and migrated in mass to the Americas in conquest, but Mayans had their own periods of imperialism over their many other distinct tribes and peoples. The point is that migration has occurred with every people historically, and the clock cannot be turned back hundreds or even thousands of years. Still, there is sound reason to understand these historical realities and to endeavor to construct an ethic on imperialism today that views it as unethical and against the most basic of human rights. The modern day introduction of large numbers of different peoples in to a nation comprised of people of a different culture, heritage, religion, physical and psychological expression is a prescription for future conflict and often war and violence. Such has recurred throughout human history. Dr. Duke urges us to understand and recognize human nature and not repeat the horrific mistakes of the past. Read his New Paradigm for Human Diversity and Freedom for more information on this subject. Like many people all over the world who have devined their purpose from the soul of their people, and who have been protectors and advocates of their own people’s heritage, traditions, existence and freedoms, David Duke developed a deep love his own European heritage and that love shaped his early life. The controlled, Zionist-dominated media constantly headlines that David Duke was once a leader in a Klan organization. They fail to point out that he has always been non-violent and he has always condemned any kind of violence. No member of his own organization was ever accused of any violence toward different races. The Zionists who lead the attacks against him also fail to point that David Duke resigned from the organization still as a young man and that he has evolved to understand fully that the rights he seeks for his own people must be accorded to every people on earth. As a person of European heritage he believes that it is his obligation to oppose any European exploitation or harmful acts against any other peoples, as he himself opposes any other policies that are harmful to his own heritage. Ironically, the media still headlines his non-violent associations of over 35 years ago, yet lionizes men who promoted violence, and who had actually committed acts of bloody terrorism, such as Nelson Mandela. Notice the double-standard. The headlines for Mandela don’t read, “Former Terrorist Nelson Mandela.” The headlines don’t label George Bush, Jr. as “Warmonger” or the “Butcher of Iraq.” Bush’s lies and actions has resulted in millions of lives terribly harmed in unnecessary wars, but David Duke who has always been non-violent and who has never harmed anyone, is condemned for opinions in his early life while the Zionist press lets people like George Bush and Benjamin Netanyahu of Israel get away with murder. You can be sure that if David Duke had gone on to be a typical pro-Zionist politician supporting the crimes of Israel, they would say he is an example of great man who can overcome his past! In fact, that fact is very true. He is great man who has overcome his past and all the vicious attacks of a Jewish-extremist media upon him. 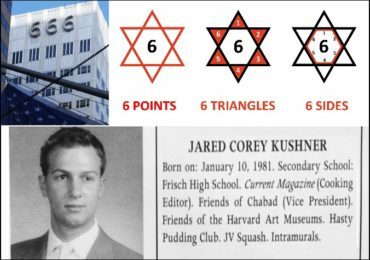 Of course, the real problem the Jewish extremists have with David Duke is not about his past, it is because of his formidable present. It is because they fear his wonderful words, and his brilliant message of human diversity, freedom and peace. that’s why they are relentless in trying to censor his videos, his writings and his books. David Duke won the Vice-Presidential nomination for the Democratic Party in 1988 New Hampshire, and later Dr. David Duke was elected and served from 1989-1993 as a member of the House of Representatives in Louisiana. In 1996-2000 he was elected to the ruling committee of the largest Republican Party district in Louisiana. He was subsequently elected (unanimously)by the other 13 elected members to serve as Chairman of the Republican Party. In two elections in a state having the population of a typical European nation, as a candidate for United States Senator and Governor, David Duke received over 60 percent of the European American vote despite being outspent in media 40 to 1 in media and having practically the totality of the political establishment against him. The Zionists admit in their own books and articles that they defeated him in the election by economically blackmailing the people of Louisiana if they dared to elect him. 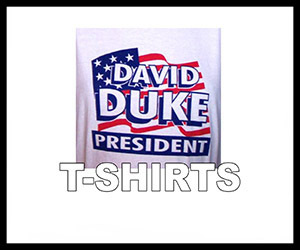 In 1992 Dr. Duke received double digit percentages of votes in some Republican Presidential Primaries. 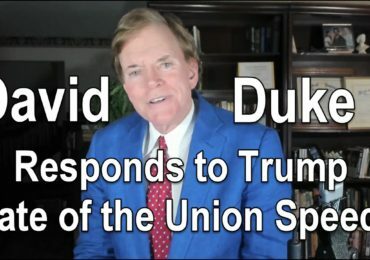 Dr. David Duke is one of the best known American and World political figures and has been on America’s leading political talk show, Meet the Press, three times. and has appeared live on Today Show, NBC News, ABC News, CBS News, CNN, Fox News, the BBC, and many other national and international news and interview programs. Dr. Duke’s defeat of Wolf Blitzer and exposure of him as former Zionist AIPAC official and “not an honest broker of television” was one of the most-watched CNN interviews in history. 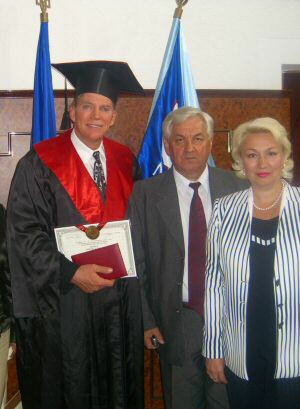 Dr. Duke has spoken in over 25 nations and at over 250 universities across the world. 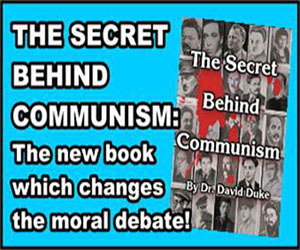 Dr. Duke is a graduate of Louisiana State University with a BA in History. He pursued a PhD in the largest university in Ukraine and in 2005 completed his Doctoral Defense in Kiev where more than a dozen of the top academics of the nation of Ukraine participated. Because David Duke dares to speak the truth about Zionism and the age-old, tribalist extremism that drives it — he has earned undying enmity of the Globalist media. David Duke has earned the respect and admiration of millions of people all over the globe who can truly think for themselves and millions of people across the world see him as a sincere and extremely brave man. Reading his writings and listening to him will convince anyone with truly open mind that David Duke is worldwide influence for human understanding, diversity and freedom. If there is a chance for true human diversity and freedom, we must listen this amazing man and reach his prophetic words.